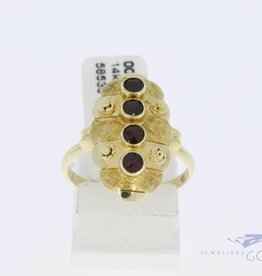 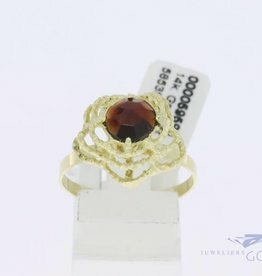 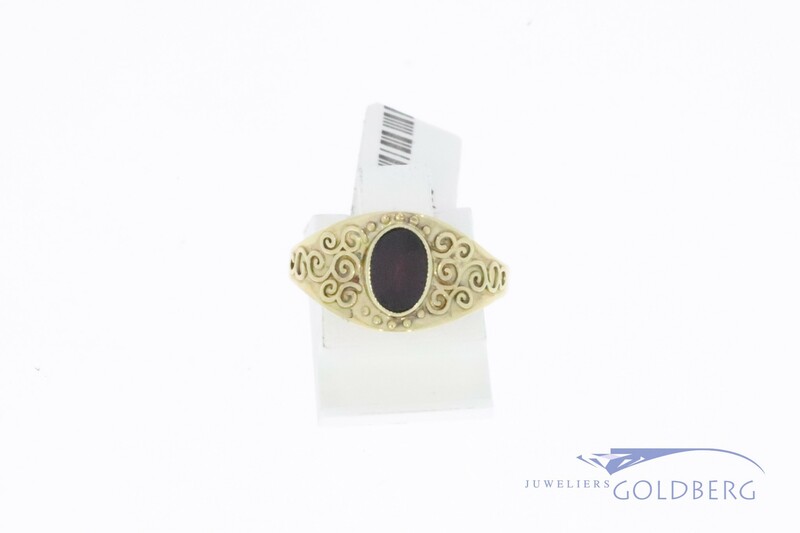 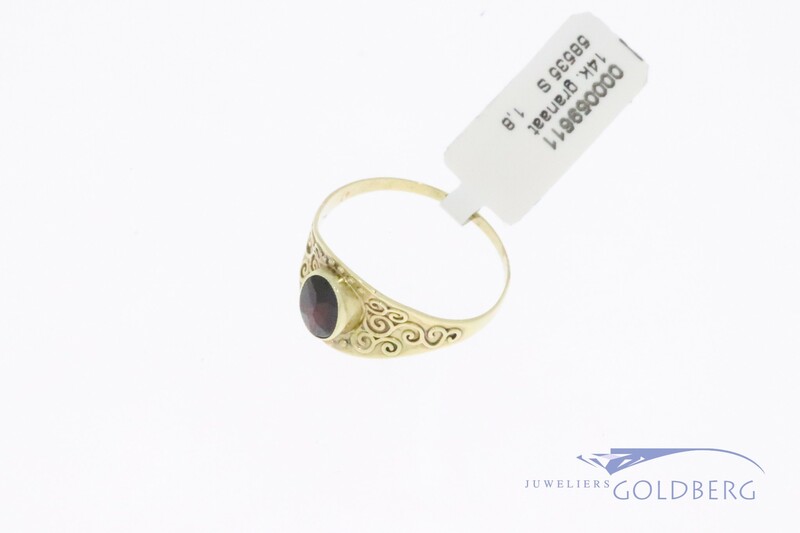 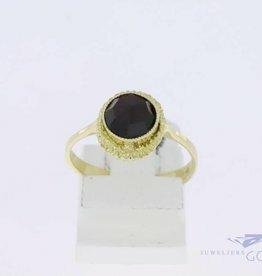 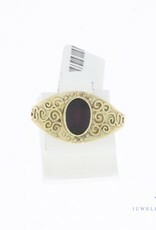 Cute 14k gold thin decorated vintage ring with garnet. 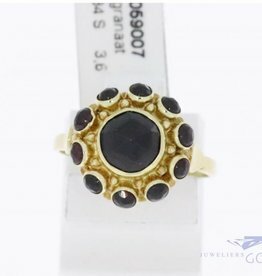 The ring is 10mm wide and has a ring size of 18.5 (58). 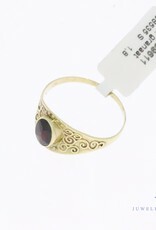 The size can be adjusted slightly on special request.